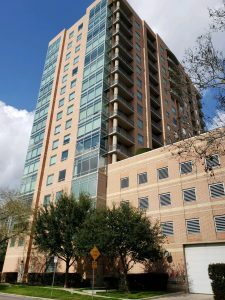 HOUSTON APARTMENTS EVICTIONS? WE CAN HELP! Evictions are considered to be much more severe than a broken lease. The reasoning the landlord or leasing staff took the time and trouble commuting to the county clerks or clerk of the justice of the peace to file the legal paper work for evicting the tenant. In addition they paid the filing fees. Then they must return for scheduled court dates to continue with the eviction process. 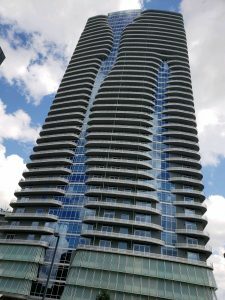 The often have to file additional legal documents (writs of possession) in order to recover possession of their apartment, condo or residence. All this is very time consuming, burdensome and can be expensive especially if attorneys are involved. It is always better to simply vacate the property or break the lease. With a broken lease you have much more opportunities to lease another apartment. People who have had evictions filed then dismissed will still have a hard time be approved for another apartment or home. Evictions that are filed are a matter of public record. They are noticed when applications are processed. The more times an eviction has been filed then dismissed the more difficult it is to be approved anywhere else. If you paid off in full the eviction judgment amount it will open more opportunities for your application being approved. There are some nice apartments that accept evictions if they have been paid in full. Having more than 1 broken lease can really impair your ability being approved. People with multiple landlord debts or broken leases are frowned upon for obvious reasons. No one enjoys losing money. They are very few apartments that will accept more than one broken lease or landlord debt on your credit. The apartment usually can be quite sub- standard. The apartment that do accept multiple broken leases are normally desperate for anyone to lease because their property is so undesirable. Having multiple broken leases or landlord debts can be worse than having an eviction on your record. Having multiple evictions is much worse. In any case reestablishing you rental history with good references is always a plus. Once you have proven you can be a reliable, dependable and trustworthy tenant then more apartments and landlords will approve you application. If you are fortunate enough to reestablish your rental history with one of the larger management companies it will open more opportunities for your application to be approved at their sister or related properties. Many of the larger management companies have properties across the state and nation. You can virtually live anywhere where they own or operate apartment properties once you establish good rental history with one of their communities. Apartments and landlords frown on late payments. Having a history of late payments can be just as bad as broken lease or an eviction. It can truly impair your ability to be approved. The more late or slow payments the worse it can be for you to be approved at any apartment or residence. Late rental payments are recorded as part of your credit history just like late payments are recorded on credit cards, car payments, utility bills mortgages etc. Going through a foreclosure can also impair your ability being approved for an apartment. Even though you were once able to be approved for a mortgage a foreclosure provides evidence of instability and not being able to keep up with your payments. It is always better to short sale you home rather than being foreclosed on. REGARDLESS OF… NO CREDIT | BAD CREDIT | BROKEN LEASES | EVICTIONS | FORECLOSURES ARE ALL ACCEPTED! OUR SERVICES ARE ALWAYS FREE. 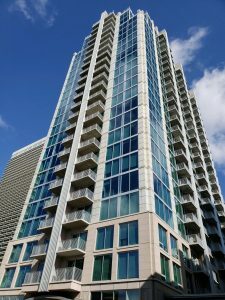 Houston Apartment for You is the leading Houston apartment locator for identifying the right type of apartment to rent to suit your lifestyle. 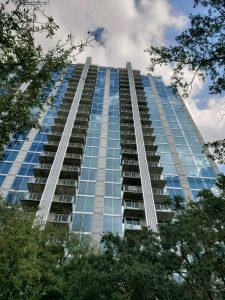 With over 15 years of experience in locating Houston apartments in the greater Houston, Texas area, our experienced sales agents can match you to the apartment that fits YOU!